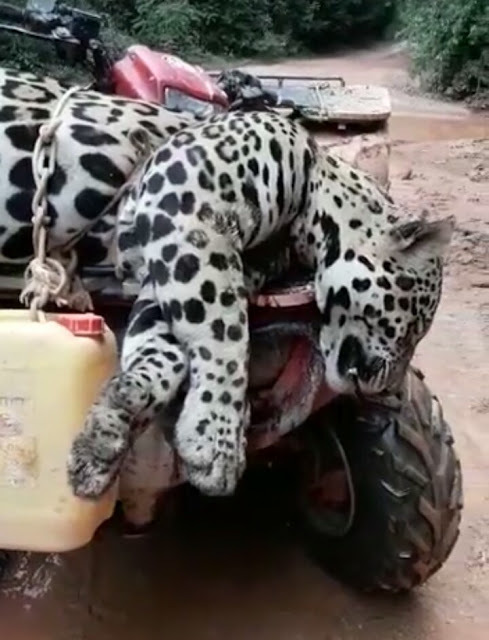 Alarming evidence launched by World Animal Protection reveals a deadly trade of jaguar body parts being trafficked illegally for the use of traditional Asian medicine from the South American country of Suriname. The majestic big cats known for their elaborate markings, are being poached and processed to be exported to China. The process involves boiling down their bodies for up to a week until it turns into a glue-like paste, it is then sold on the black market in tubs and until now, has been undocumented. The product is used in the belief that it can treat arthritis pain, improve sexual performance and enhance health even though there are proven alternatives readily available. This shocking cruel practice involves jaguars being stalked and shot numerous times, suffering multiple injuries, until eventually they are killed, usually with a final bullet to the head once they are too injured to move. In one instance, it was reported that the jaguar had to be shot seven times until it died, causing prolonged suffering. Investigators from the international charity also captured interviews with rangers, discussions with poachers and the traders who are putting orders for a jaguar on social media, by phone, or through their personal networks. The sale of the jaguar paste is a lucrative business with a zealous market – a driving factor given that almost half of the population lives in poverty and a jaguar is considered to some miners to be worth around 20 grams of gold. In addition, there is evidence of jaguar cubs being taken from the wild and sold – often to wealthy business men keeping them as status symbols and not knowing how to take care of them. Sources say they live their lives in cages, until they are too big to look after and at times they are killed to eat, as their meat is also consumed among Suriname's Chinese population. Nicholas Bruschi, Investigations Advisor at World Animal Protection, said: "This investigation has uncovered a shocking underground trade exploiting an iconic animal of the South American rainforests for unproven traditional Asian medicine. Jaguars already face the challenges of habitat destruction and human animal conflicts. They are now cruelly and needlessly killed, left to die agonizing deaths. It is extremely sad news for these incredible big cats whose numbers are already in decline. And, while jaguar cubs might seem very cute, they are still wild animals and belong in the wild, not in the illegal pet trade." It's estimated that there are approximately 173,000 jaguars left in the wild, and they are classed as 'near threatened' according to IUCN list. It is also thought that jaguars, like other big cats, are being used as a supplement product for traditional Asian medicine to their relative, the tiger, sparking a worrying trend that could see their numbers plummet. 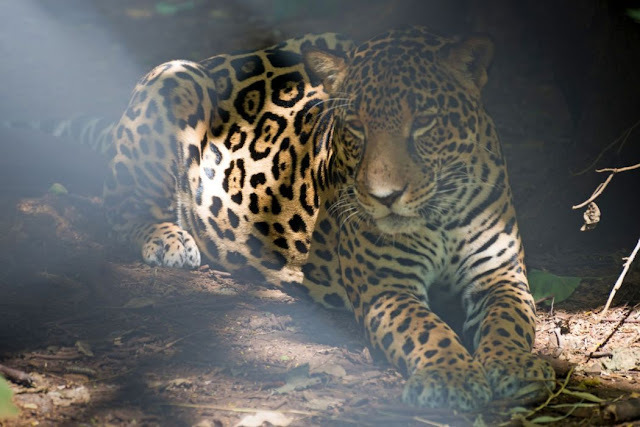 With more mining and logging resulting in loss of habitat and increased human wildlife conflicts, jaguars are becoming more visible, and are being targeted for taking livestock. Habitat loss also makes it easier for opportunist poachers and organised mafia gangs to source jaguars in the wild. World Animal Protection works tirelessly to prevent cruelty to animals around the world. Jaguar poaching for traditional Asian medicine is something that has, to date, been relatively under the radar. To tackle the issue, World Animal Protection will be cooperating with Suriname's rangers and specialist NGOs on tangible solutions and sharing intelligence to prevent poaching. They are raising awareness of the issue, in the hope that the Suriname government will put greater enforcement within their borders to stop poaching, but also prevent the smuggling of the product out of the country.